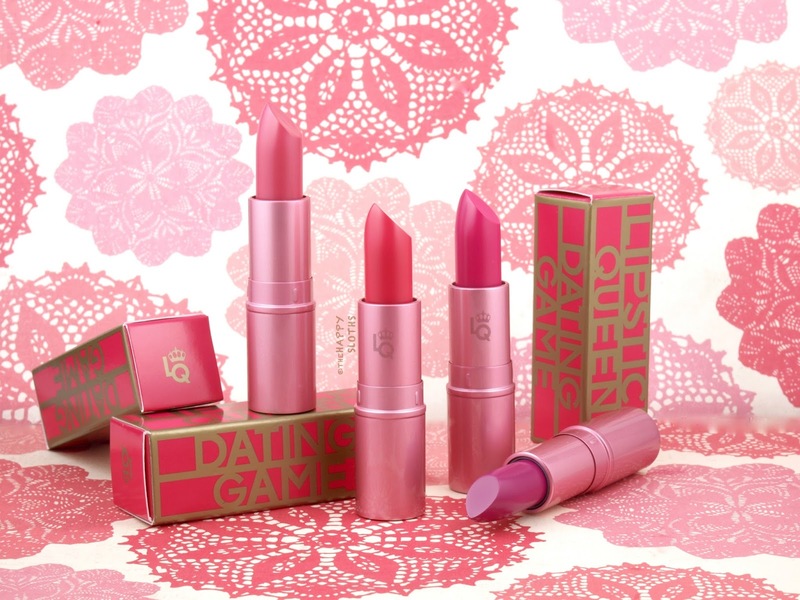 All four lipsticks in the Dating Game Collection comes in a soft pink metallic packaging. The design is very sleek, monochromatic, and trendy. Formulated with shea butter and vitamin E, the Dating Game Lipsticks are a range of medium-coverage lip colors from Lipstick Queen. The line features four shades and they are all a different variation of pink. 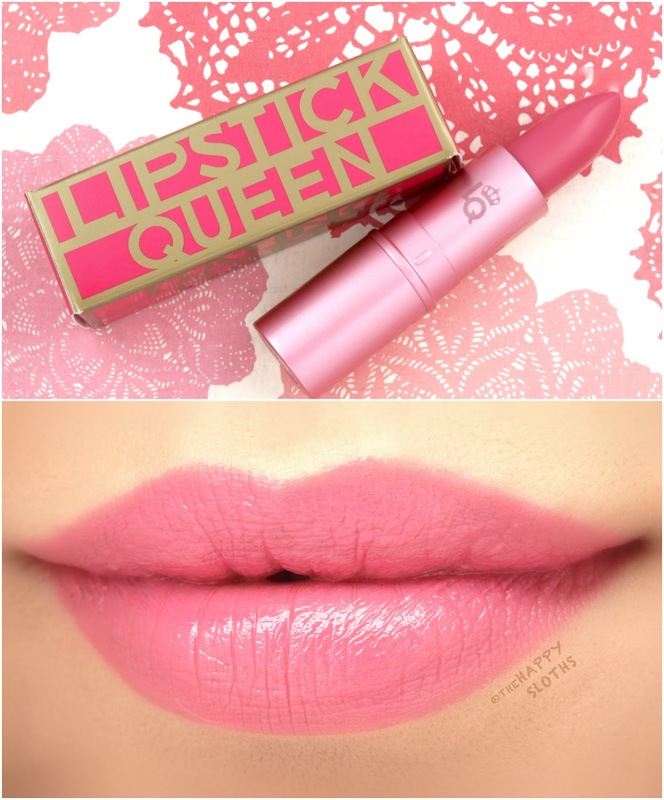 "Good Catch" is a light creamy pink with a subtle warm undertone. The color is on the sheerer end but it is very buildable. "Mr. 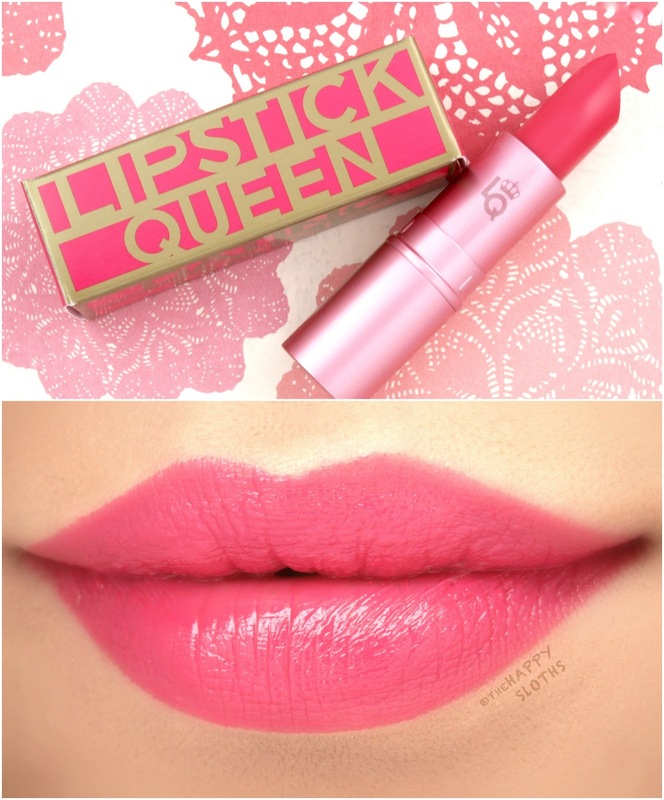 Right", is a bright rosy pink with a hint of coral. This shade is more pigmented than "Good Catch" but I still needed to apply quite a few swipes to obtain an even coverage. A cool-tone neon pink, "Bad Boy" is comparatively much more pigmented. The color kind of reminds me of MAC's Candy Yum Yum but it's a slightly sheerer version. Last but not least is "Mr. Right Now". This one appears very purple in the tube but it's actually a super flattering magenta. The pigmentation is the best out of all four so the application is a breeze. Formulation-wise, all four shades are very slick and hydrating. There is no noticeable settling of the pigments and the lipsticks provide a plumping, cushiony sheen. I would have preferred more pigmentation with "Good Catch" & "Mr. Right" as they required quite a few coats to look even but overall, this is a gorgeous range if you love pinks! In terms of wear, the lipsticks fared okay. They are very prone to transferring but "Bad Boy" and "Mr. Right Now" both left a long-lasting and flattering pink stain. 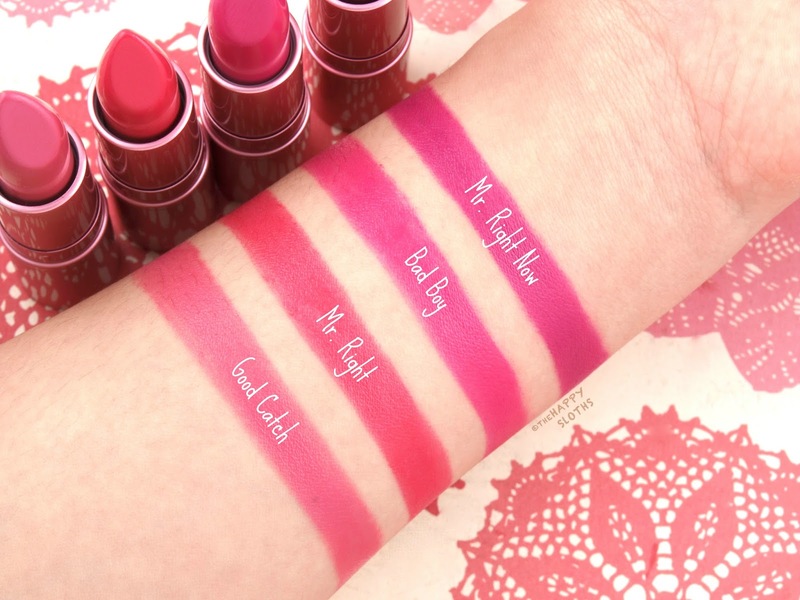 Lipstick Queen | The Dating Game Collection in "Good Catch"
Lipstick Queen | The Dating Game Collection in "Mr. 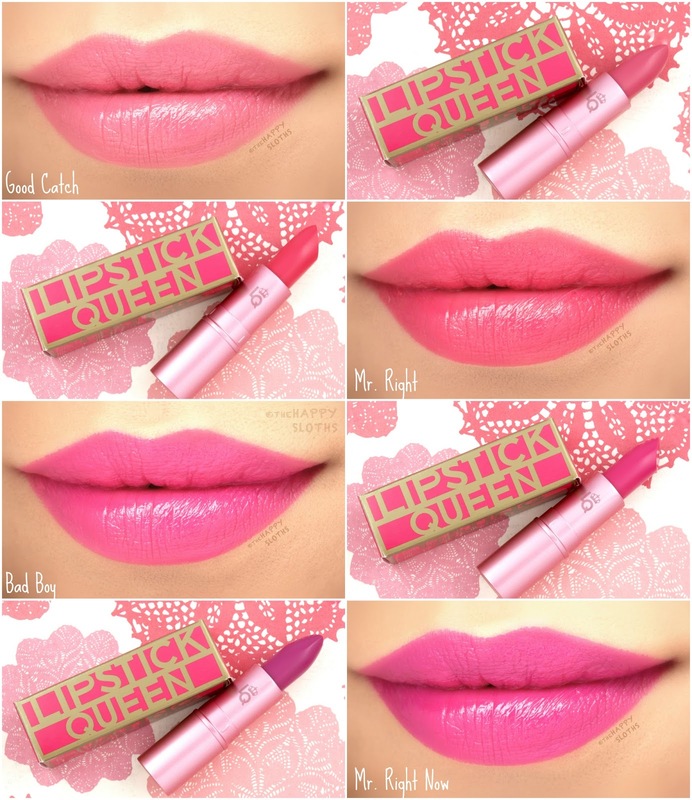 Right"
Lipstick Queen | The Dating Game Collection in "Bad Boy"
Lipstick Queen | The Dating Game Collection in "Mr. Right Now"
Here is a collage of all four shades for comparison. My personal favorite is "Mr. Right Now", although all the other shades are very lovely. Even "Good Catch", a color I would never gravitate towards, looks pretty and it surprisingly didn't make my teeth look yellow. 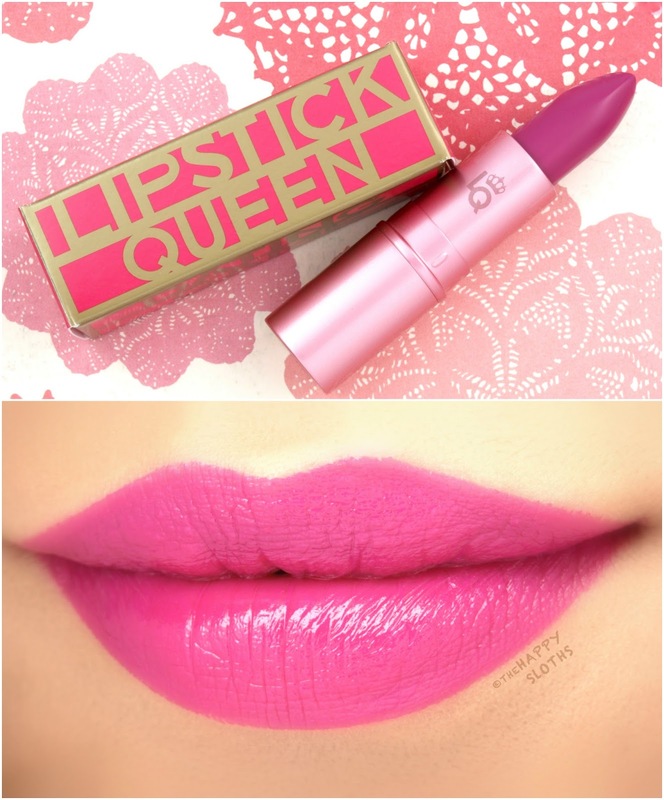 Are you a fan of pink lipsticks? Which shade is your favorite? Share with me in the comments below! 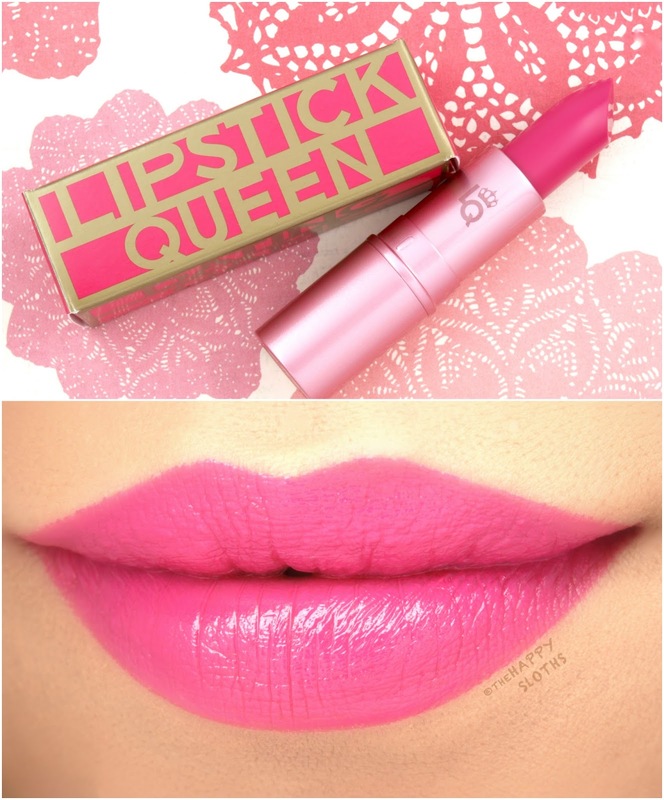 Lipstick Queen is available in stores at Murale.